I agree briskar, that wallpaper is possibly the best wallpaper EVER made. The new leopard isn't even as good as it! 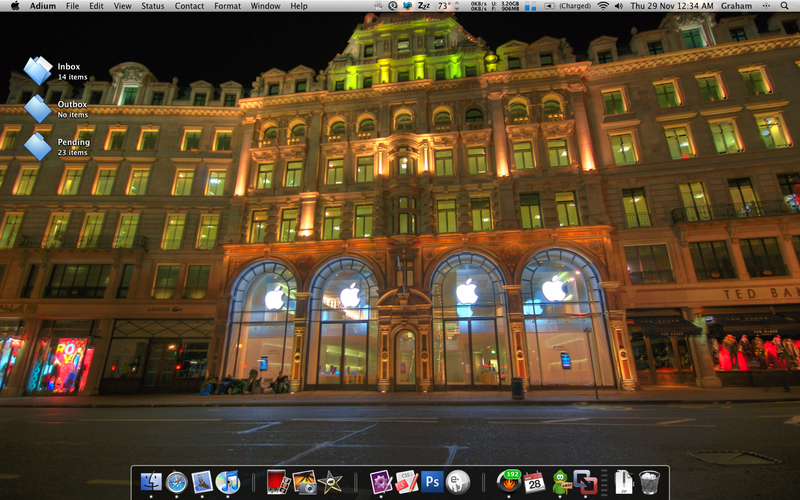 This is a picture of my desktop, its the finder! very nice Graham... where can I get that pic? You can't unfortunately. It was taken by my mate Nik and he holds the copyright to it. The flickr page is here, but to comply with the law you need to ask him if you want to use it. And he will probably say yes, so please do ask! Here is my latest desktop image. Nice good apple. Thought about updating the dock? I going to go through and clean out some of the applications that I do not use very often and then my might find a different design for the dock. But i am still thinking it over about getting a different dock. Very cool! Where did you get the photo? Thanks. I think i got the photo at this web site, and there are a bunch of other cool desktop photos there too all in high-resolution for FREE. I don't have a Mac (Yet) But her's my desk image. Wow, Tromso is very beautiful...and very far north! 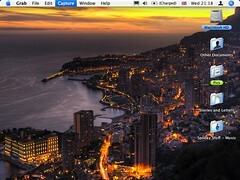 Here is my current desktop on my Mac Pro.